Whether you’re headed out for a quick weekend trip or the through-hike of a lifetime, you’re going to be carrying everything you need on your back, so your backpack needs to be both comfortable and functional. One of the questions I hear most often regarding function is, how big is big enough? Not surprisingly, “big enough” depends on what you’re doing. 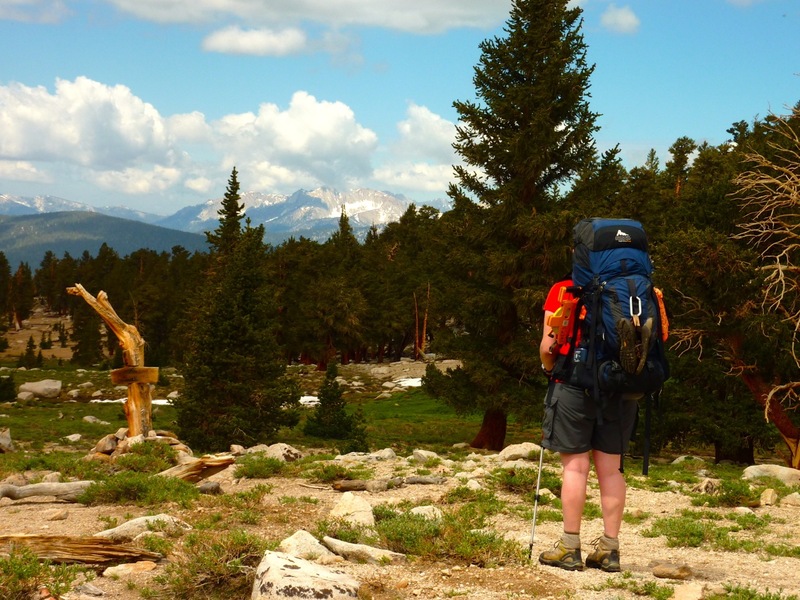 A fast and light weekend trip simply doesn’t require as big a pack as a two-week expedition. I have found that having two internal frame packs is sufficient for my needs. 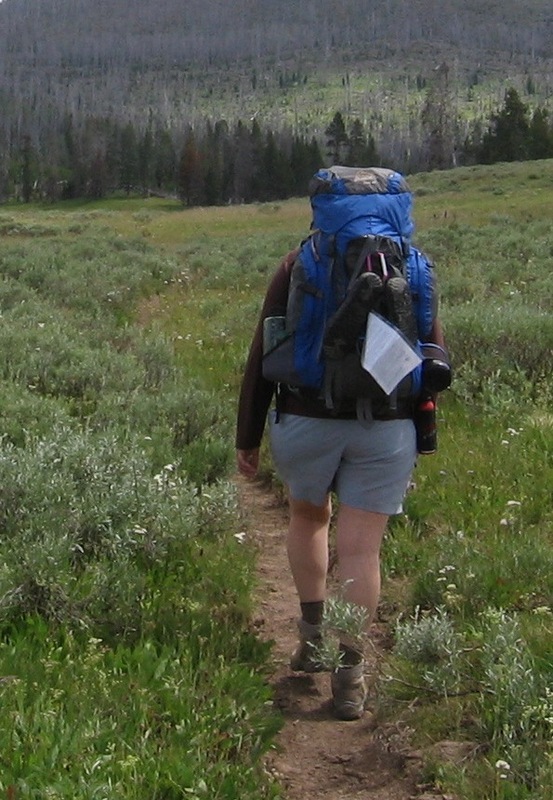 Backpacking from Pelican Valley to Lamar Valley, a three-day trip in Yellowstone National Park. This old, reliable friend is the first pack I bought, back in the summer of 2003. At 60 liters (about 3,600 cubic inches), the Deva is a great size for the two- and three-day trips that I do most often. 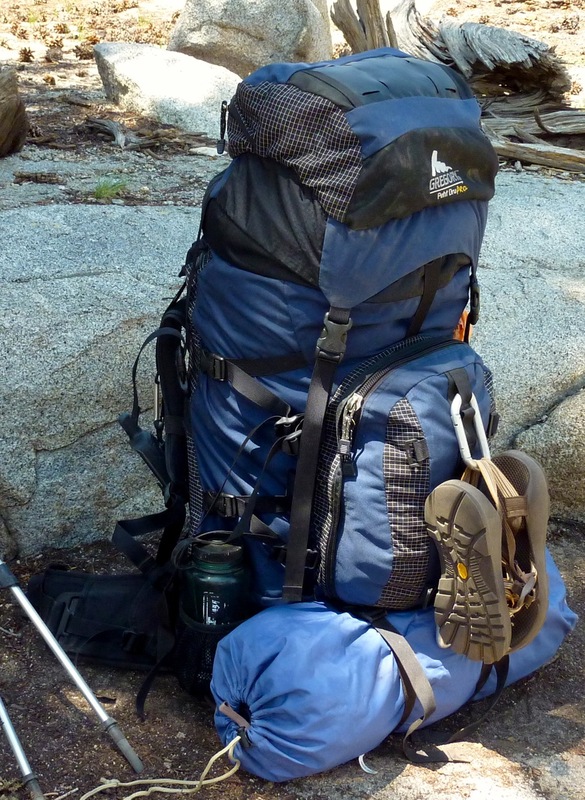 My typical backpacking load with this pack is in the range of 35-40 pounds, and I’m always comfortable and happy. My Deva 60, waiting to go on a hike. Admiring the Sequoia National Park high country while wearing my Petit Dru Pro. 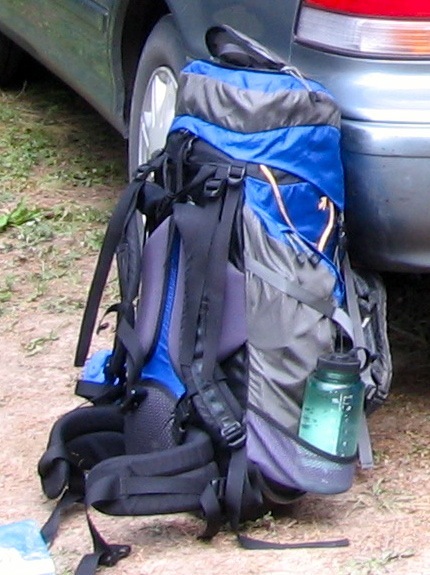 With a capacity of 85 liters (over 5,100 cubic inches), this pack is my preference for trips that are four days or longer. It’s a heck of a loadhauler. I turned to my Petit Dru Pro when doing my master’s project research on alpine plants in Sequoia National Park. In addition to carrying the usual food and gear that I would need for a ten-day backpacking trip, I also packed in the equipment and books necessary for my field botany work. I didn’t weigh the fully-loaded pack, but I’m confident it would have tipped the scales at more than 75 pounds. Now, I would never advise anyone to carry that much … but having done it, I remain impressed with how well the Petit Dru Pro can handle a monster load. The Petit Dru Pro is a versatile pack that cinches down nicely for four-day trips, but can be maxed out (as shown here) to haul a whole lot of gear. In case it isn’t obvious, I’m not an ultralight backpacker. Both of my well-loved packs are pretty heavy by today’s standards. But I’ve found that the heavier fabrics make these two packs more durable than some of the newer, lighter models of recent years. Most importantly, I’ve concluded that a slightly heavier pack that fits great and supports a load well is the most comfortable option for me. In choosing a pack, you can narrow down your options by thinking about what kind of trips you are most likely to do. Does your work schedule mean you’ll only be getting away for weekend trips? A pack of about 60 liters works great for this; you might be able to go even smaller if you intend to use a minimalist shelter and if you don’t have to carry a bear canister. If, on the other hand, you’re planning some major expeditions where you’ll have to carry a whole lot of food, I would recommend that you start by looking at something around 80 liters or larger. For winter camping, too, you’ll want to go to a larger size. I backpack a lot, and it’s been worth it to me to have two separate packs. But I recognize this is a bit of a luxury option that doesn’t make sense for everybody. If you’re just getting started and want one nice, all-around pack that could support you on weekend trips and the occasional five-day excursion, look in the 60-80 liter range. Once you’ve picked an approximate size, the key is to go try on several packs at a good outdoors store. A skilled pack fitter can help a lot with this—different brands fit differently, and what works well for me may not suit you. I bought my first pack, the Deva 60, at the Campmor store in Paramus, NJ, and the pack fitter there was excellent. She steered me away from an Arc’teryx pack I had my heart set on because its shoulder straps were set a little bit too close together for my frame. It was well-made, and I know others who wear that pack and love it, but for me the Gregory was the right choice. It’s important to know that most frame packs will allow you to swap out the hipbelt for a different size. This is something I always need to do because I have an average-length torso but bigger-than-average hips. A good packfitter should notice if your hipbelt is too small (or too big, you lucky duck) and offer to switch it for you, but you can always ask. Ultimately, fit, comfort, and intended use should come together to make your decision for you. Happy trails! Look how happy I am to have this pack on! 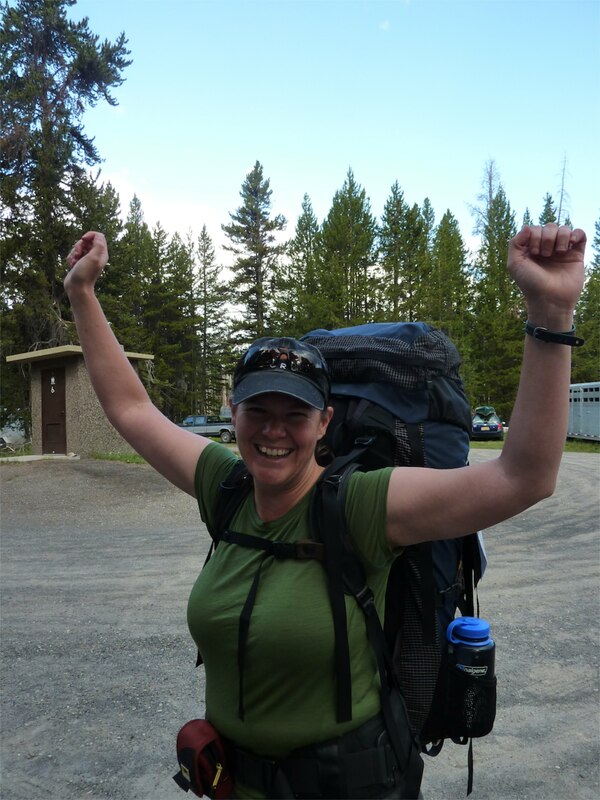 This picture is from the beginning of a four-day, 62-mile hike to Heart Lake, Two Ocean Plateau, and the Snake River Canyon in Yellowstone National Park. That’s the Petit Dru Pro I’m wearing.